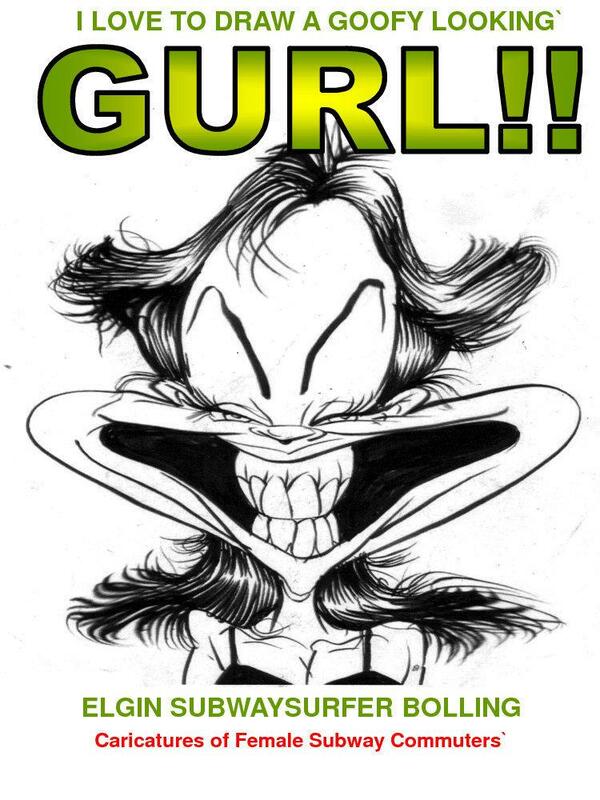 Its finally here, caricature /comic fans! the companion Ebook To my lecture at the April 20th Big City Drink and Draw session held at Jack Demspeys. 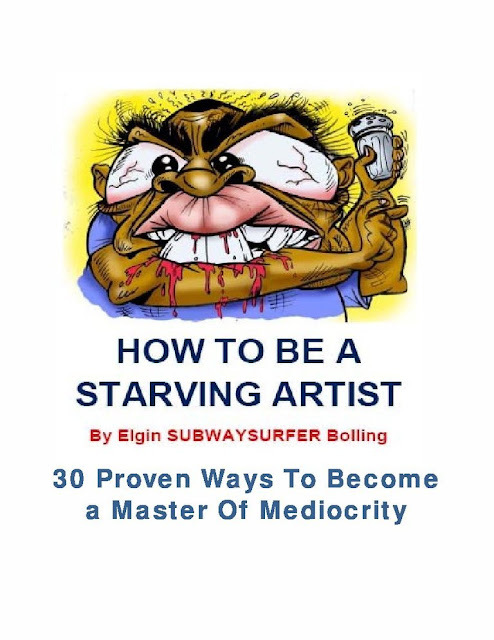 This 33 page Ebook covers with words and pictures the concepts spoken about in the lecture on how to use caricature to create compelling comic characters for graphic novels and comics.The book covers different storytelling methods you can use to overcome writers block, as well as step by step instruction of how to draw live in public settings. ( The art of DIPP. Drawing In Public Places) Of course the hook is jammed packed with lots of great art done live on the Subways of New York City, and other public venues. 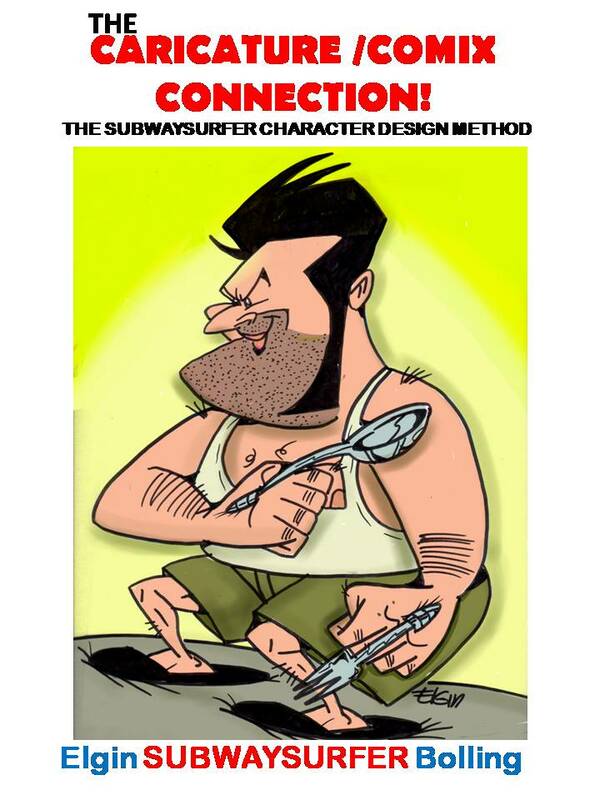 A must have book for any comic /caricature enthusiast interested in adding more power to their character designs. Is Beauty really in the Eye of the Beholder? Subwaysurfer says, it depends on who is looking at you! 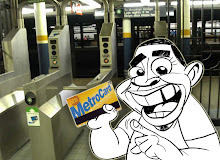 Find out what New York City's wackiest subway sketcher sees! The New York City Subway is a microcosm of the world. Regardless of your nationally, gender, political affiliation, of social economic status, for a few brief hours daily, www all become "one" sharing the same space as we travel to our appointed destinations. 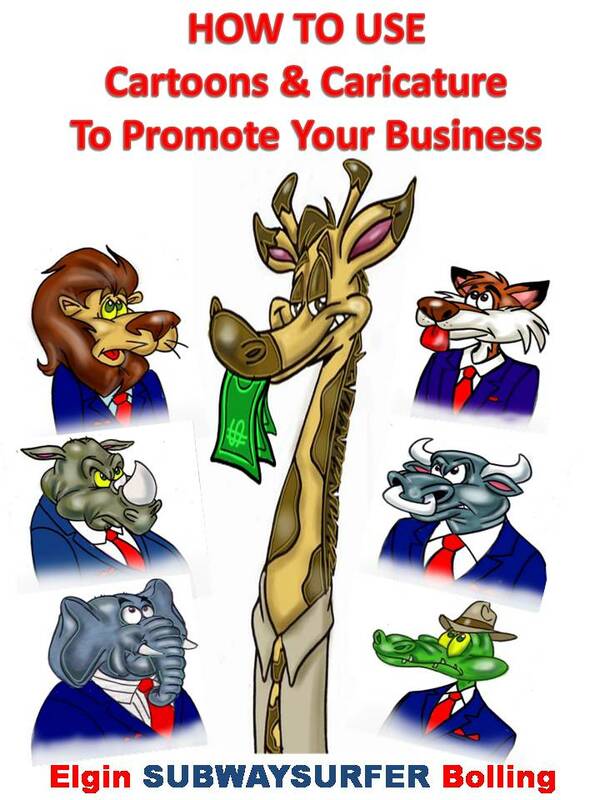 This book is more than a collection of "funny pictures" it is a study of human behavior and social interaction. 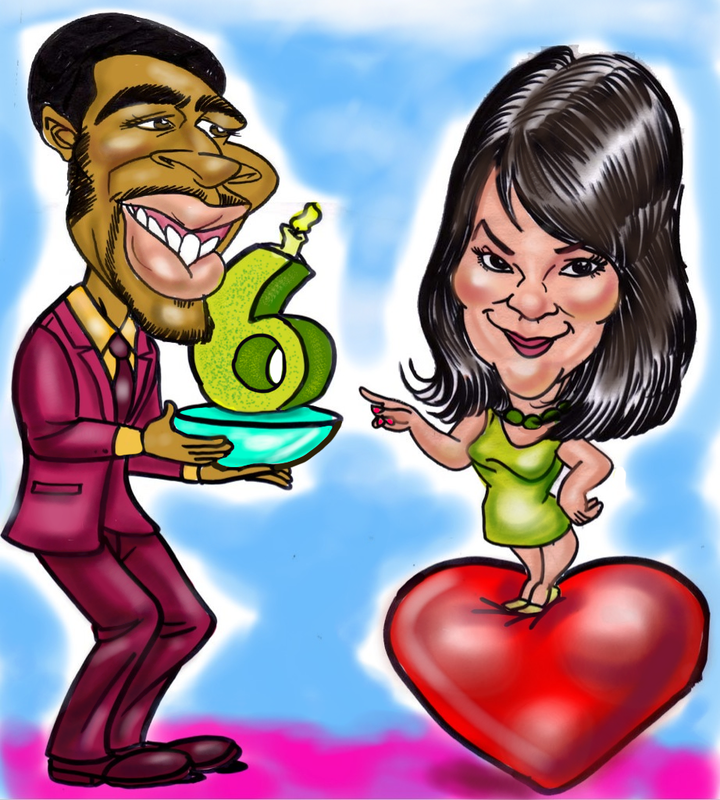 Caricature artist, Elgin Bolling, is a type of "visual anthropologist", who seeks to demonstrate, through his art, how do we handle space? How to we react interact with ourselves and each other in a situation of "forced intimacy." this book captures very personal. Although humorous portraits of real people in a real setting. 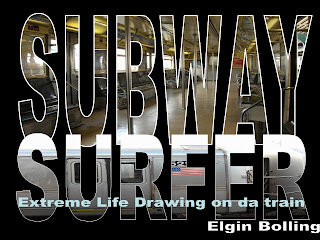 It is the "real life drawing"
SUBWAYSURFER IS AT IT AGAIN! THIS TIME, HE IS GIVING OUT TIME HONORED, CLOSELY GUARDED SECRETS OF GETTING IEAS FOR YOUR OWN COMICS! THESE SECRETS HAVE BEEN PASSED DOWN FROM FATHER TO SON FOR CENTURIES, AND IS NOW AVAILABLE TO YOU!! WHY IS HE DOING THIS?? Because he's a nice guy...FREE EBOOK! 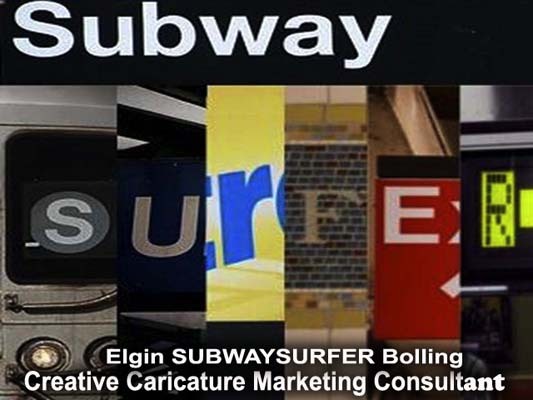 ELGIN SUBWAYSURFER BOLLING IS BACK! 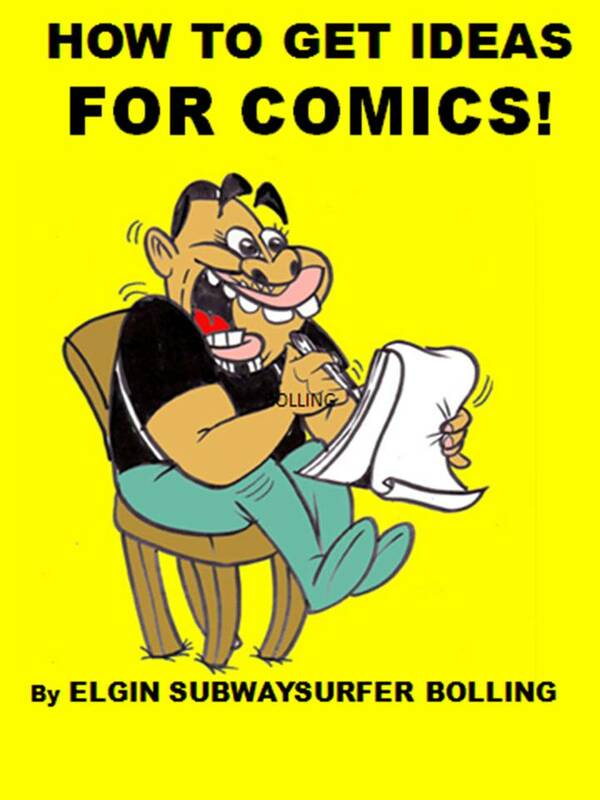 THIS TIME REVEALING TO YOU CLOSELY GUARDED SECRETS OF COMIC BOOK CHARACTER CREATION! Nothing says "LOVE" like getting a caricature done as a gift for the one your love. I was commissioned by this young man, to help him celebrate his six month anniversary to his college sweetheart. He sent me great photos, told me her favorite colors, and within twenty four hours, he presented his girl with a versatile gift that could be used as a screensaver, used as an avatar, printed out and put on a teeshirt, mouse pad, mug, or simply as a picture to be framed. Its that easy folks! Why not get yours done? All you need to do is send me JPEGS of you and your true Love, along with a list of hobbies, interests, and randome things you both say, so that i can construct the scene. If you have a specific idea, or theme let me know. Remember to send me CLEAR pictures. Ive never seen you before, and can only draw what i SEE! 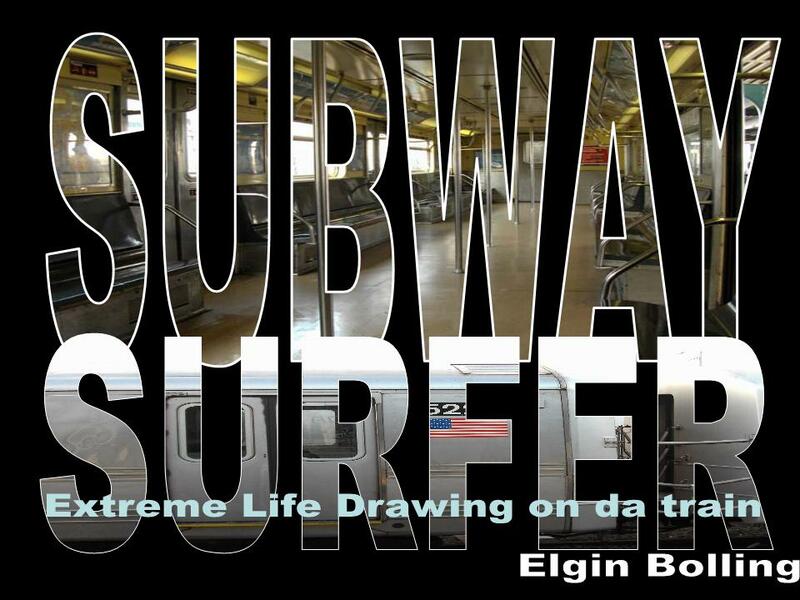 Doing a plug here for the book I pulished featuring a collection of subway inspired drawings of mine during the 2006-2008 period. I was really into my extreme exaggeration drawing phase during this time, so the art reflects that. I use the mediums of pen and ink, graphite, colored pencils, and Prismacolor art stixx in the book, and there is some commentary. Hard copies can be obtained through blurb.com and an EBOOK version is also available on ths site by going to the ebooks and products link on the right side f the blog page.